(5) microstructure development in meteorites. Single crystal Ni-based superalloy CMSX-4 directionally solidified (upward) into and through a particulate alumina preform without change of orientation. See Met.Mater. Trans. 36A, 2461 (2005). J. B. Mann, C. Saldana, S. Chandrasekar, W. D. Compton and K. P. Trumble, Metal Particulate Production by Modulation-Assisted Machining, Scripta Materialia, in press. M.R. Shankar, R. Verma, B.C. Rao, S. Chandrasekar, W. D. Compton, A.H. King, and K. P. Trumble; Severe Plastic Deformation in Difficult-to-Deform Materials at Near-Ambient Temperatures; Metallurgical and Materials Transactions, in press. H. J. Kim, M. J. M. Krane, K. P. Trumble, and K. J. Bowman; Analytical Fluid Flow Models for Tape Casting; Journal of the American Ceramic Society, 89 , 2769-2775 (2006). 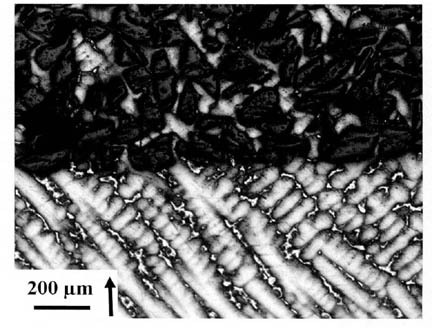 R. Shao, M. J. M. Krane, and K. P. Trumble; Infiltration and Directional Solidification of CMSX-4 Through a Particulate Ceramic Preform; Metallurgical and Materials Transactions, 36A , 2461-2470 (2005).